Home is where we can be ourselves with no artificiality and superficiality and also where we feel emotional security and utmost bliss in life. These homes of ours are also meant for protecting us from external elements like rain, storms, and other natural elements. It also prevents and restricts entry of unwanted people in our lives and surroundings that might pose serious threats to our well being. If this very home is not properly planned and secured with required stuffs then we will not be safe in our own houses. Doors and windows are those sources from which people and others pass through and out. These doors and windows these days can be easily targeted and broken down by culprits to threaten our safety and security. With the advent of innovative technology and pressing needs of ensuring human security unique safety door designs have been found to serve the purposes. 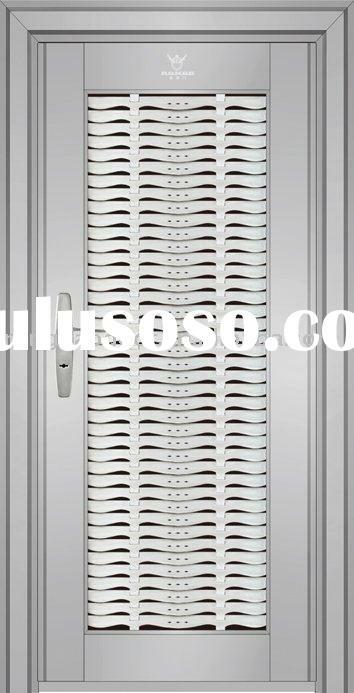 Some unique safety door designs are double doors grill, aluminum sliding door design with grills anti theft doors design in metals, doors with view fence and eye holes, various modeled iron doors, security screen doors of various designs that not only protects you when you are indoors but also impresses your guests with its aristocratic looks.